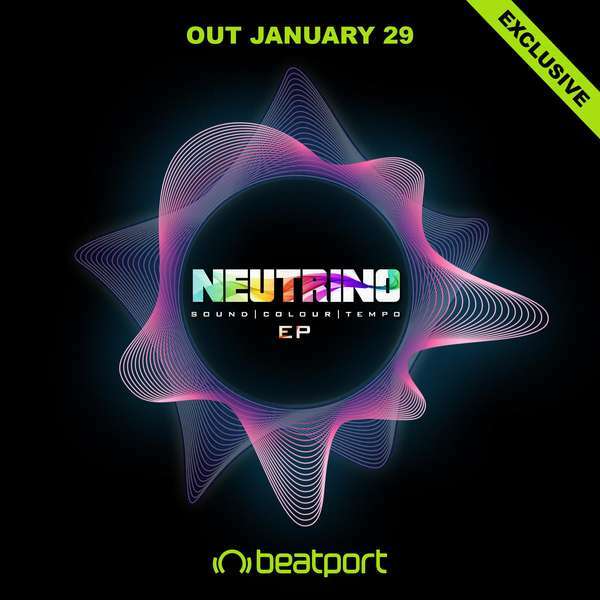 Neutrino aka Dino Ciancamerla has been a name on the trance and psy-trance scene for a while now. 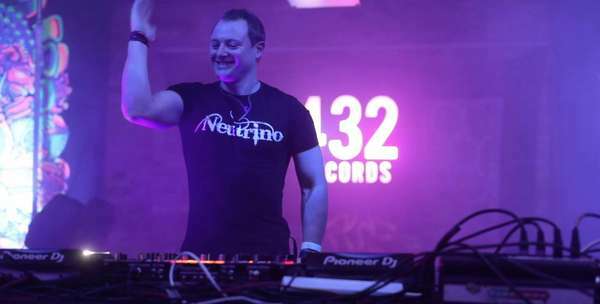 DJing for over ten years, his unique style, flare and passion has seen him grace the decks of a plethora of venues, from underground warehouses through to the main room at the legendary Ministry of Sound. He’s also known as co-owner and promoter of the awesome Yeah Baby Events. Not content with DJing and promoting, Dino has more recently been focused on music production. We decided now was a good time to grab him for a proper catch up! You were born in Cape Town, South Africa. What was your childhood like & what experiences shaped you into who you are today & influenced your love for music? I was actually born in Johannesburg although I do consider myself from Cape Town as I lived there from the age of 8 – 21. I have a deep connection to Cape Town. Having mountains, forest and sea in such close proximity to one another gives off an incredible energy that I pick up on in a big way. Although my parents split when I was 6 years old, my brother, Lee, and I had a very good up- bringing and a good relationship with both our parents. They brought me up to be respectful and to appreciate and value all areas of life. They also encouraged my open-minded way of thinking which nurtured creativity from a young age. We never had much money and I started working and contributing to the family from the age of 16. This steered me towards becoming the person I am today. Having said that, I really grew into myself in my 20’s, researching a lot about different areas of belief and understanding, from mediation, to quantum mechanics and everything in between. I have enjoyed electronic music as long as I can remember, but my first memorable encounter happened at the age of 16. The uplifting trance track “System F – Out of The Blue” had me hooked and it is still one of my favourite tracks today. I recently got the words “Out of the Blue” Tattooed on the inside of my arm as a homage to the track but also because of the way I met my wife. Although my neighbourhood friend and I started to dabble in music production from the age of 16, I only first experienced a club on my 21st Birthday when friends took me to a club in Cape Town called “The Gallery”. That was the moment that I decided I wanted to become a DJ. What made you come to the UK & what are the differences and similarities between the psy-trance scene in South Africa & the scene in the UK? I have been in the UK for about 15 years now. My mom moved to Dublin while I was studying advertising in Johannesburg and living with my dad for a period. After my course, I moved to Dublin for a year. I then moved back to Cape Town for a year, worked in advertising and discovered clubbing at the same time. After that year I went back to Dublin, got myself some decks and started to learn to DJ, eventually moving to London in 2004 where I knew the dance music scene was big. 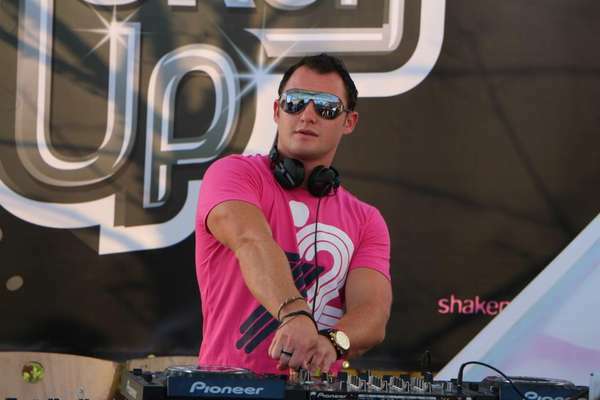 The psy-trance scene in South Africa, Cape Town in particular, is very different to the UK. 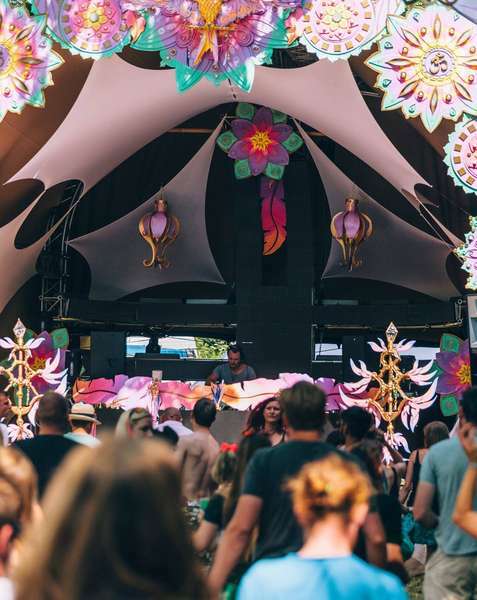 In the UK psy-trance is still a fairly underground genre, in Cape Town it is very accessible with the music being played on major radio stations and fully licenced outdoor events taking place every single weekend in the summer. However, much like the UK, progressive psy is still growing. But I plan to keep contributing towards improving this. When did you play your first ever DJ set? How did you find it? My first DJ set was for a hard house brand FlipSide that was run by my housemates at the time. It was at a small club in Leyton called Club Q. I can proudly say that I learned to DJ on Vinyl and that certainly made my first gig fairly intense with concentration, but I remember thoroughly enjoying it. When DJing, what goes through your mind? I love it and I am totally in my element. But I do take it seriously and try to maintain focus as I really believe that we are lucky to be doing what are doing and it’s our job to do it as best as we can, every single time. Crowd feedback and the energy of the dancefloor can make a huge difference to how much you are enjoying yourself. You’re co-owner of the innovative London festival brand Babies Events. How did this come about? What led you to want to put on parties? We started Babies Events in 2009 when we threw a party at a pub called The Kings Arms in Wandsworth. We were doing it for a few friends who were born in March and so we called it “March Babies”. It started indoor and then became a multi genre event with an outdoor stage in the beer garden, and two rooms inside. We had such an incredible response that we had to keep going. We started as a charity event and donated over £3000 to various charities. I met my wife in 2010 and she joined the team and we took the events to the next level. We moved to a bigger Beer Garden venue in Streatham where we put on many great beer garden festival type events. It became a way for me to create the perfect event to DJ at. We set the bar really high with top quality production, incredible décor and the friendliest crowd in London. We have also hosted many club events. We did the Burning Mountain Festival (Switzerland) Pre Party 2 years ago and last year we hosted a label showcase for 432 Records from Denmark, owned by progressive kings Phaxe & Morten Granau, Martin Vice and Joel Rowdy. Nowadays we are taking a break from the larger scale events so that I can focus on producing music. We still do smaller events at Gigalum in Clapham which are a blast. Our next one is Feb 11th with Nanoplex & Ben Coda and will be the official launch for my EP. Do you feel the scene has changed much over the years? Yes, it certainly has. Sadly, council regulations in London have had a detrimental effect on the clubbing scene. Licencing challenges and overall costs means it’s almost impossible to break even on an outdoor event without taking major risk. It’s quite sad really. 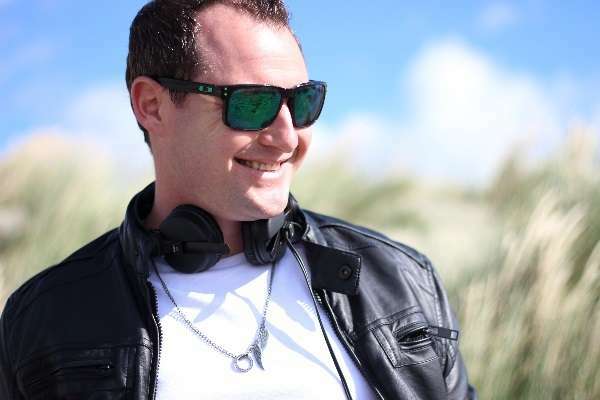 However, on the plus side, psy-trance in various forms has started to penetrate the more commercial trance scene and so we can only hope that this will encourage a merging of the two scenes brining more exposure to the music and more support for the promoters. It’s already starting to happen in other parts of the UK. London just needs to catch up. You’ve started producing your own music, when did this begin & how did you learn this craft? From the age of 16, myself and a friend from the neighbourhood started to dabble in production using a program called Dance E-Jay and then moving on to Fruity Loops. We didn’t know any other producers and with limited Internet at the time we had to try and teach ourselves from scratch with no guidance, so our progress was very slow. I kept an interest in it for many years; but I never really committed to giving it the time it needed and deserved. I met my wife Kerry in 2010 and put all music production progress on hold in order to focus on our relationship. In December 2016 we got married and ever since then Kerry has been encouraging me to get back into it. Eventually in August last year I decided to take the leap and allow myself a proper chance to “make it”. I reduced my work down to 2 days a week and got stuck in to Ableton Live and everything has somehow flowed very quickly from there. I’ve got 2 tracks out on Jan 29th with Furthur Progressions Records, and another single signed to US label Dreamstate Records. Release date TBC. I’ve also just done a remix of the classic trance track Rank 1 – Airwave (Breathing) that will hit the dance floors this summer. I have always believed deeply that I have what it takes, which is great place to start. It’s less from an ego perspective and more from the sheer feeling that music really and truly fuels my soul. It makes me happy in so many ways and to have the opportunity to see others enjoying something that I have created is something very special and I intend to give it my all. I wouldn’t be able to do this without the incredible support from my wife. She has sacrificed a lot to allow me to take this next step and I am immensely grateful for it. What’s the process you go through when making a track? It’s a little different each time. I tend to like to get the Kick and bass combination solid first and use that as a foundation to build on. Melody and groove is quite important to me so that would be the next phase. The rest sort of evolves as I go. But it’s important to let idea’s flow and (try) not to sit and twiddle nobs for too long or you will never get a track finished. What would you say are your inspirations when making music? The thought of a crowd going bananas on the dancefloor (haha)! I think emotion is also an inspiration. Just wanting to spread joy and hopefully in some way pass on a message of freedom & possibility to people. From an artist perspective, Phaxe is one of my all-time favourites. Although I am not trying to make the exact same style as him, I admire his ability to tell a story in his tunes. They are full of emotion and groove without any over the top production effects. He simply doesn’t need it. I had the opportunity recently of spending a day in the studio with him before one of my gigs in Copenhagen and it was really inspirational. YES! I am super excited for my first release. The EP consists of 2 tracks, both dance floor orientated and a progressive sound. The title track is a solo called “Sound, Colours & Tempo”. This is full of texture, atmosphere and finely tuned detail layered over a solid kick and bass groove. The second track is a collaboration with my fellow Furthur Progressions stable mate Marcello (AKA CIMI & M-THEORY) called “Infinite Beings”. This one consists of a combination of offbeat and rolling baselines and clean melodic elements with a few splashes of psychedelic sounds. Both tracks have thought-provoking vocal elements. As far as “my sound” goes… For now; it will keep progressive and pumping and there will always be an element of melody and a sprinkling of fun. But undoubtedly - it’s going to evolve over time while I experiment with different sounds. What other music styles do you like aside from progressive psytrance? I have a very eclectic taste in music. I can take a liking to music from almost any genre if it is produced well or if it’s catchy, I feel it immediately and I either like it or won’t listen to it again. I love older music, 60’s & 70’s, The Beatles, Marvin Gaye, The Police, Beach Boys… such a crazy variety. Believe it or not, when I was in my teens I even enjoyed rap, Tupac, Eminem etc. I must say, I never really got into rock and metal though. Fun, Loyal, Creative. At least I hope so! For the immediate future it is to find a comfortable and stable balance between work and producing music. I’m really looking forward to performing my new productions at both UK and international gigs. Medium to long term… Traveling and adventure with my beautiful wife and of course having kids at some point too. Hmmm, I’m just going to say the first thing that came to mind. I am a major cat lover. I just connect so well with them. I always have. I think it’s their independence that I love so much. I may even be a cat whisperer …. Haha. It’s been a pleasure. Thank you! See you all on a dance floor soon! Images courtesy of Dino Ciancamerla and Yeah Baby Productions. Not to be reproduced without permission.